Enjoy the top 9 famous quotes, sayings and quotations by Bill Atkinson. Being an app developer isn't at all like working at Apple. There is this huge haystack of apps, and even a very shiny needle can get lost in that haystack. 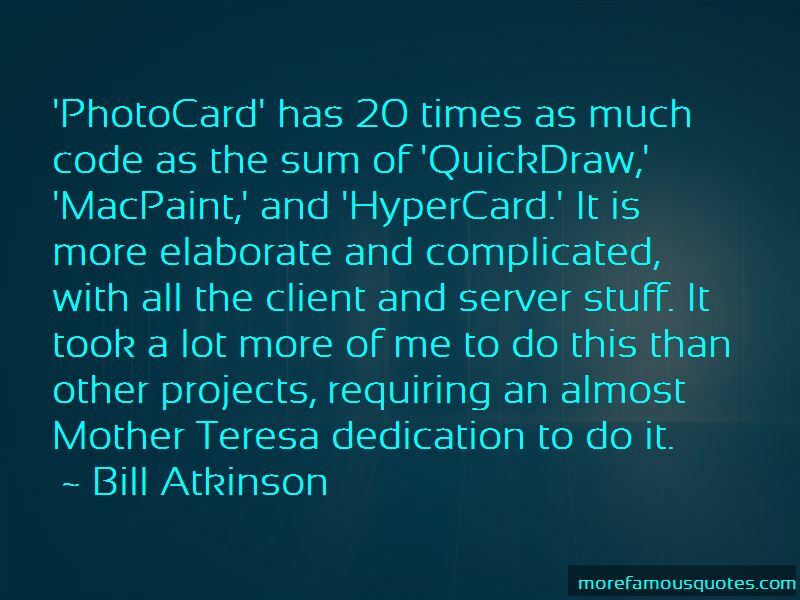 'PhotoCard' has 20 times as much code as the sum of 'QuickDraw,' 'MacPaint,' and 'HyperCard.' It is more elaborate and complicated, with all the client and server stuff. It took a lot more of me to do this than other projects, requiring an almost Mother Teresa dedication to do it. 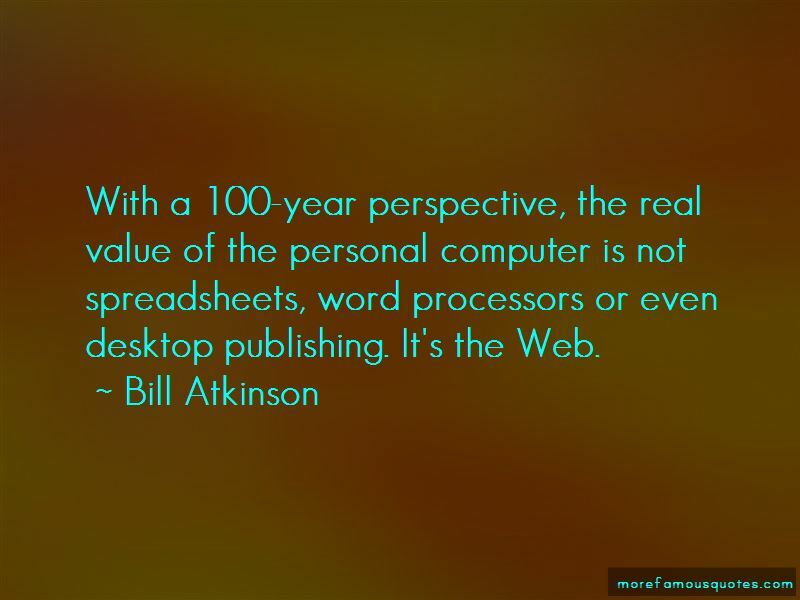 Want to see more pictures of Bill Atkinson quotes? 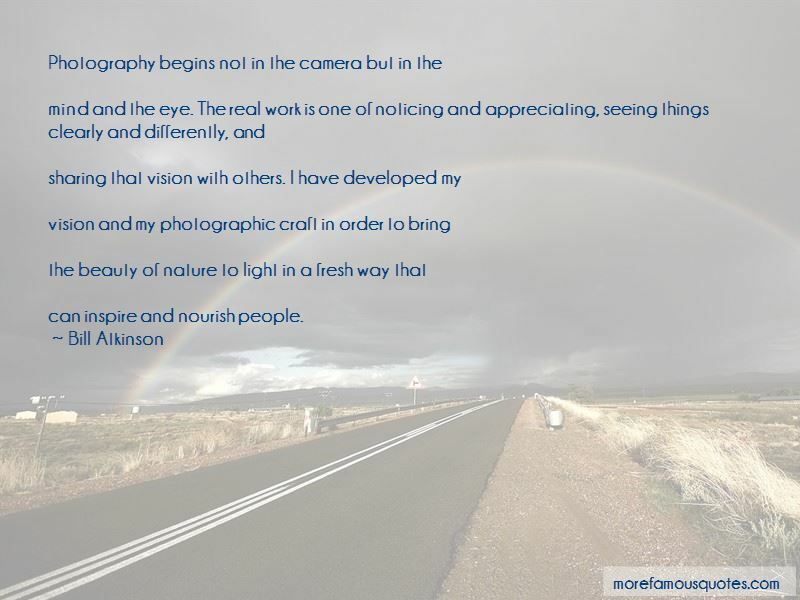 Click on image of Bill Atkinson quotes to view full size.